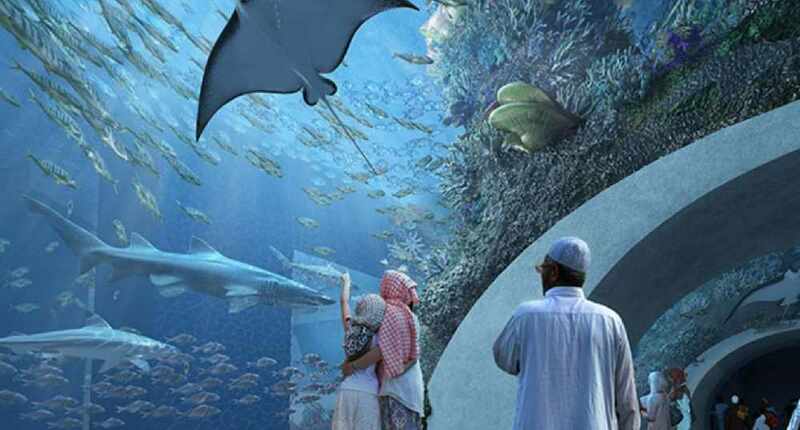 Oman to have an 8,000sqm aquarium by 2018! 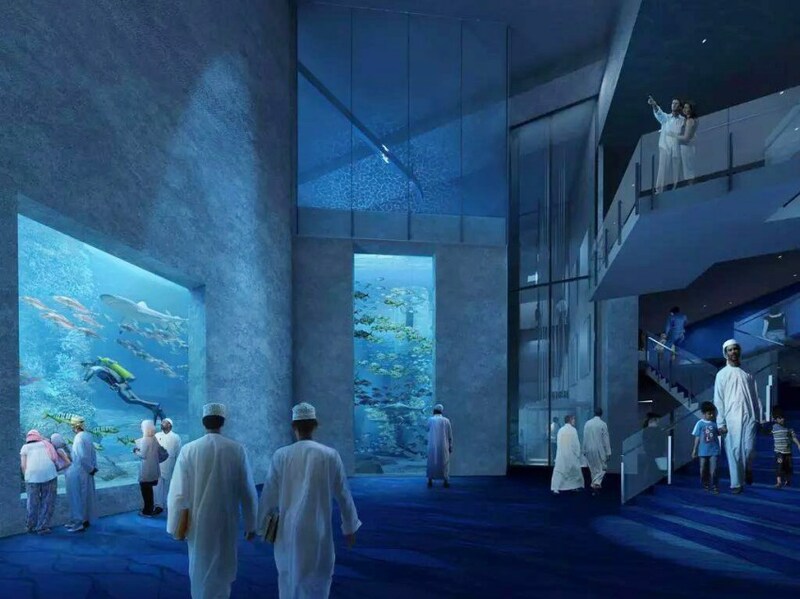 In the next year, Palm Mall in Seeb will soon be home to 30,000 marine animals, after it was announced that the 8,000 square meter Oman Aquarium would be built inside the shopping mall. There will be 55 exhibit tanks, with 1.7 million litres of sea water keeping the marine life cosy. Adrian Tolliday, the CEO of a leisure and entertainment group in the UK has been appointed to supervise the construction of the aquarium, saying: "There will be a demi-tunnel running through a part of the main tank, and a large acrylic viewing panel in the main gallery. The acrylic will be 70cm thick. We expect to have 20,000 marine animals in this tank alone." All animals in the aquarium will be from the coasts of Oman, to help keep with the theme of "Oman". There will be a large team of experts on hand every day to offer quality care to the animals. Speaking about the theme of the aquarium Tolliday said: "The aquarium is going to be the Jewel of Oman, as the theme is based on journeys of the great seafarer – Ahmed Ibn Majid. The theme will consistently revolve around Oman, with a majority of the exhibits showcasing the local marine life." 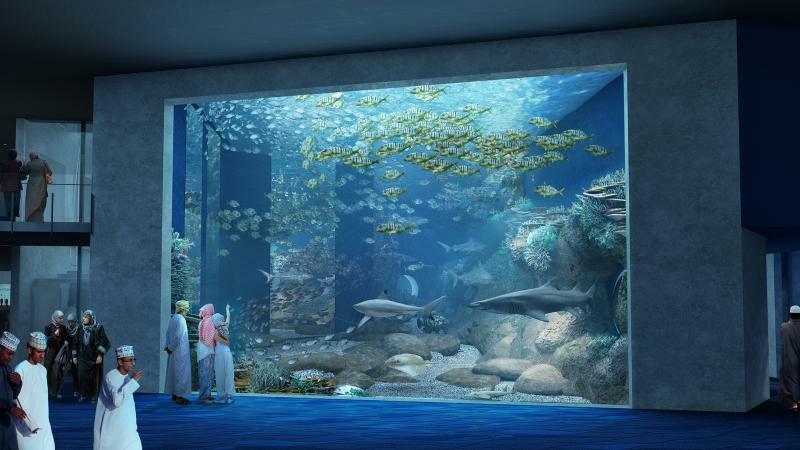 Inside the aquarium will also be an education suite, where programmes will be created for children available for school trips and even weekend learning. Tolliday continued: "Our aim is to ensure that everyone who passes through our aquarium leaves knowing more about the underwater world than when they came in. 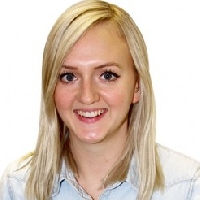 It will enhance visitors’ awareness and ignite their passion for looking after the environment for generations to come."